Rocky Tar Pit comes into play tapped. 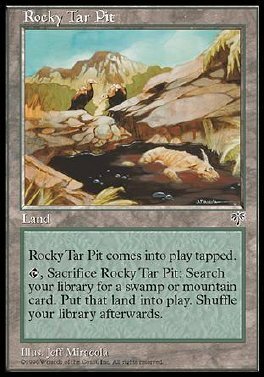 T, Sacrifice Rocky Tar Pit: Search your library for a Swamp or Mountain card and put it into play. Then shuffle your library.